One time payment perpetual software license with no other recurring fees. 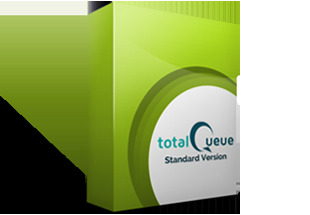 Please note TotalQueue license key is valid on 1 single PC MAC address only. This simplified customer queuing solution has all the basic features is ideal for small businesses, clinics, shops with a single staff that handles about 10 to 20 customers on a busy day. This customer queuing software version is suitable for small and medium businesses that handle about 20 to 50 customers in a day, with 2 to 3 staff dedicated to handling customer services. Suitable for service businesses like restaurants, payment centers, schools etc. This version of our customer queue solution suits businesses that serves hundreds of customers a day, and has several dedicated staff to service customers. Typically for enterprise establishments that serves 100+ customers per day, like banks, universities, telecoms and the like.